The Springfield Township Fire Department is one of the busiest departments in Hamilton County, Ohio. The department responded to 6,383 combined Fire/EMS details surpassing their 2017 combined fire and EMS responses by 8.7%. The trend is expected to continue in 2019. 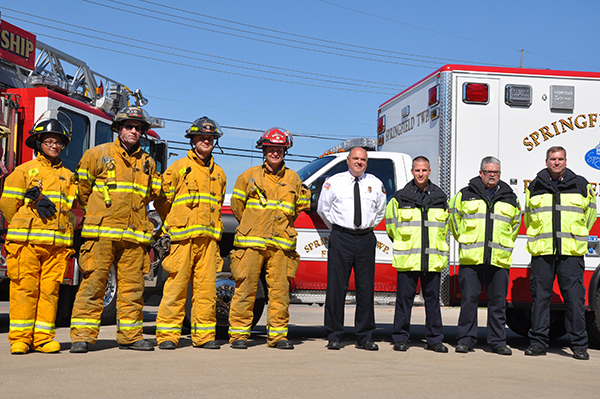 In order to meet the growing demand for Fire and EMS response, Springfield Township is accepting applications for part-time Paramedic/Firefighter and part-time EMT/Firefighter positions. Part-time employees are expected to work a minimum of 800 hours and cannot work more 1500 hours in a 12 month period. Unit Day and Flex schedules are available. Hourly rates are $21.00 per hour. All Paramedic/Firefighter candidates must possess a minimum of an Ohio Paramedic and Ohio Firefighter Level II certifications, valid driver's license, good driving record, and undergo physical ability assessment, written Fire and EMS examinations, Fire and EMS skill assessments and medical examination. Part-time employees are expected to work a minimum of 800 hours but are restricted to working no more than 1500 hours in a 12 month period. Unit Day and Flex schedules are available. Hourly rate is $15.00. All EMT/Firefighter candidates must possess an minimum of an Ohio EMT and Ohio Firefighter Level I certifications, valid driver's license, good driving record, and undergo physical ability assessment, written Fire and EMS examinations, Fire and EMS skill assessments and medical examination. Interested candidates that want a high run volume and excellent training opportunities should complete an application and send their resume to Larry Mullins, Human Resources Director, Springfield Township, 9150 Winton Road, Cincinnati, OH 45231. Applications and resumes will be accepted until April 19, 2019 at 4:00 pm. Detailed information about the testing process will be provided to applicants after applications are received.